Mahmoud Habbash, the outspoken aid of Palestinian Authority (PA) Chairman Mahmoud Abbas, has always been a divisive voice at the Palestinian political arena ever since he fled Gaza seven years ago. Almost every Friday, he gives a virulent sermon at the small mosque at the PA headquarters in Ramallah, during which he emits all his bile and vindictiveness on Hamas, the Palestinian Islamic Resistance group. Needless to say, this is not how the dignified Friday pulpit should be used. The Friday sermon should be an occasion for fostering hope and unity among Muslims. It shouldn't be used as a divisive tool to spread disunity, tumult and hatred. The PA itself had issued stiff rules barring Mosque imams (Friday speakers) from indulging in divisive politics. However, it has been repeatedly noted that Habbash, who was PA Minister of Religious Affairs for years, was the one who violated these rules. This is really symptomatic of a deep dichotomy between what the PA says and what it does. From examining his sermons in Ramallah and elsewhere, it is clear that the man is either ignorant in religious knowledge or hypocrite or both. He also seems to be a sycophantic hanger-on revolving in Mahmoud Abbas's orbit, often sacrificing honesty and truth for the sake of pleasing his master. For example, in his sermon on 20 March at the Tashrifat mosque in Ramallah, he compared Abbas's political opponents with the hypocrites of Quraysh in the time of the Prophet Muhammad. This is a cheap manipulation of the Friday sermon. Indeed, comparing a secular leader with virtually no Islamic credentials to the greatest man ever to walk on the face of earth goes beyond the pale. At the end of the day, ignorant and hypocritical speakers must not be allowed to corrupt the Islamic religious discourse. The latest scandal coming out of this man's mouth was a call on Arab states to send their warplanes to bomb Gaza, effectively to destroy what was not destroyed in the Israeli blitzkrieg against the coastal enclave in summer. "Arab states have a duty to strike those who have violated legitimacy with an iron fist, regardless of the place, time or circumstances, beginning with Palestine," Habbash was quoted as saying during the Friday sermon he delivered in Ramallah. He added, “What happened in Gaza was a coup, not a division, and it must be addressed with firmness. There can be no dialogue with coup-makers; they must be hit with an iron fist”. We may not agree with Hamas on everything it says and does. But the claim that Hamas carried out a coup against the PA is exactly the antithesis of truth. The well documented reality is that Hamas acted preemptively against a coup attempt by forces loyal to Mahmoud Abbas after the Islamist group unexpectedly won legislative elections the previous year. Living in the West Bank, I know it is politically incorrect to say the truth in this regard. The PA, we all know, doesn't tolerate serious dissent, which explains the recent sweeping arrests of political opponents. But honesty must always come first. And if one is to be truly faithful to his or her conscience, one must dismiss Habbash's ranting as totally worthless and mendacious. I have spoken to several Palestinian pundits who unanimously denounced Habbash's remarks. I am not going to name anyone lest they be harmed by the PA security agencies. However, there are many other honest people, intellectuals and otherwise, who have come strongly against this venomous incitement by this irresponsible sheikh-turned-propagandist who obviously doesn't mind lying in order to malign political opponents and besmirch their image. According to the Electronic Intifada, Dr. Rami Abdu, Chairperson of the independent group Euro-Mid Observer for Human Rights (euromid.org), suggested that Habbash was trying to perpetuate the Gaza problem for personal gains. "I believe that Habbash is part of a group that tries to perpetuate Gaza's suffering and which have no problem letting fellow Palestinians suffer for their own benefit." In fact, Abdu's words may well be a huge understatement of Habbash's role, which could be much worse than we think. In the final analysis, it is an expression of treason for a Palestinian leader to ask foreigners to bomb his fellow Palestinians. Were Habbash a loyal son of Palestine, he would have called on Arabs to bomb the occupiers of his country, tormentors of his people and usurpers of al-Masjidul Aqsa, the Muslim's first Qibla (direction which Muslims face in prayers) and Third of most sacred mosques in Islam. Israel hates Hamas and seeks its annihilation. Habbash apparently wants the same. The conclusion is clear. I rest my case. The United Nations Human Rights Council (UNHRC) approved three resolutions regarding occupied Palestinian territory and Palestinian rights during the 28th regular session. 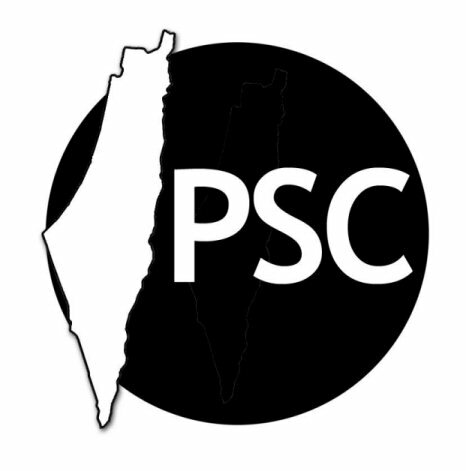 The resolutions called for the right of the Palestinian people to self-determination, "including their right to live in freedom, justice and dignity and the right to their independent State of Palestine," confirmed Palestinian right to sovereignty over natural wealth and resources, and condemned the continuation of all settlement activities in the occupied West Bank and East Jerusalem. "Rather than acting in accordance with international law, democracy and human rights, the U.S. made the decision to isolate itself at the expense of Palestinian rights, lives and lands," she stated in a press release. The PLO was granted a request to join the International Criminal Court late 2014, paving the way to bring Israeli leaders to court for alleged war crimes. In response, Israel froze the transfer of $127 million in taxes collected monthly on behalf of the Palestinians, drawing criticism from Palestinian leadership and the international community as these revenues make up around two-thirds of the Palestinian Authority's annual budget. The freeze was allegedly revoked Friday after three months of withholding, however Palestinian leadership has not yet received confirmation of the future transfer. News of the resolutions comes eleven days after Prime Minister Benjamin Netanyahu was reelected and subsequently chosen to form the next government, which Palestinian leadership hope might be influenced by international pressures. 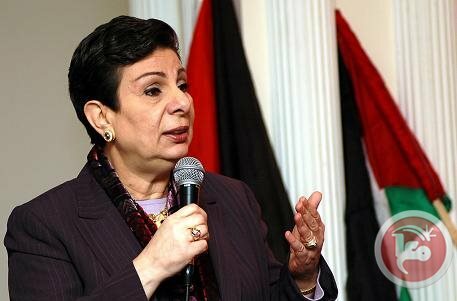 "Such resolutions constitute a step in the right direction, and it is high time for the military occupation of Palestine to end and for all members of the international community to hold Israel accountable with punitive action and measures, and to recognize Palestine in the immediate future," concluded Dr. Ashrawi. Israel said Friday it will release hundreds of millions of dollars in tax funds it has withheld from the Palestinian Authority as a punitive measure. The United States swiftly welcomed the move, which could help disarm tensions with Washington and the international community after a polarizing Israeli election campaign. "We welcome the decision of the prime minister of Israel to release withheld tax revenues to the Palestinian Authority," said US State Department spokesman Jeff Rathke. "This is an important step that will benefit the Palestinian people and will help stabilize the situation in the West Bank." Prime Minister Benjamin Netanyahu's office said revenues accumulated over three months, frozen by Israel since January in retaliation for a Palestinian move to join the International Criminal Court (ICC), would be transferred after normal deductions for services. But it did not say whether Israel would be resuming the normal monthly payment of around $127 million (118 million euros) in customs duties levied on goods destined for Palestinian markets that transit through Israeli ports. The Palestinian Authority (PA) reacted with caution. "Until now we haven't received any money, nor have we officially been informed of anything," PA spokesman Ihab Bseiso said. The Middle East peacemaking Quartet welcomed the Israeli move. "It is absolutely the right decision both for the improvement of the conditions of Palestinians on the ground and for Israel," Quartet envoy Tony Blair said in a statement. "I hope this will be the first of many steps, on both sides, that will mean we can work with renewed vigor to create the conditions for proper negotiations as we progress towards a two-state solution," he said. The Israeli decision comes 10 days after Netanyahu was reelected and subsequently chosen to form the next government following a campaign in which he pledged to continue settlement activity and prevent the establishment of a Palestinian state, which exacerbated tensions with Washington. Netanyahu later back-tracked on remarks opposing a two-state solution, while plans for construction in east Jerusalem -- which the Palestinians want as the capital of a future state -- were put on hold. The Israeli decision will help to sustain the PA, which faces financial collapse without tax revenues that constitute some two-thirds of its annual budget, excluding foreign aid. The move to release the funds took into consideration "humanitarian concerns" and "an overview of Israel's interests at this time," the Israeli statement read. "Given the deteriorating situation in the Middle East, one must act responsibly and with due consideration alongside a determined struggle against extremist elements," Netanyahu was quoted as saying. On Wednesday, the Palestinians will formally become members of the ICC and can proceed with legal action at the court based in The Hague against Israeli officials. They have said they intend to pursue Israeli war crimes allegedly committed during last summer's war in Gaza, as well as Israel's policy of building settlements on occupied Palestinian lands. A Palestinian state living side by side with Israel in peace is the international community's vision for an end to the decades-long conflict. The White House has said it may withdraw crucial diplomatic cover for Israel at the UN Security Council as it reevaluates its position. Such a move could prove problematic for Israel if the Palestinians resubmit a draft resolution setting an end date for the Israeli occupation. Meanwhile, France is sponsoring a draft resolution that would seek to revive Israeli-Palestinian peace talks. French Foreign Minister Laurent Fabius said Friday that discussions on a text would start "in the coming days." In December, the Security Council rejected a resolution that would have set a deadline for reaching a final peace deal and paved the way to the creation of a Palestinian state. Fabius told reporters: "Obviously the two parties must discuss, but the discussion must be backed by an international effort." Israel has long maintained that direct talks with the Palestinians are the best framework for advancing peace talks and has bristled at UN involvement to set a timeframe for a deal. Islamic Resistance Movement, Hamas, described the Palestinian Authority President Mahmoud Abbas’s statement, calling for repeating the model of “Determination Storm” against the Palestinian people, as dangerous and unpatriotic. In a press statement on Saturday, Hamas’s spokesman Sami Abu Zuhri called on the Arab leaders to penalize Abbas for adopting such congruent standings with the Israeli desire for hitting the Palestinian people. 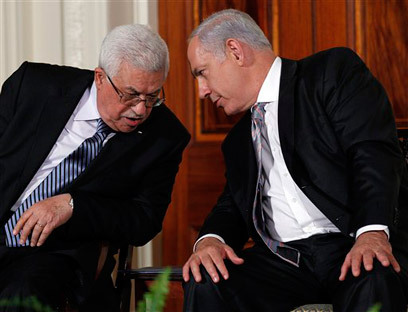 “Abbas lacks legal legitimacy. His presence at the Palestinian presidency depends on the extent of his commitment to the Palestinian national consensus. Abbas is not authorized to make decisions or comments on any positions that run contrary to the Palestinian national consensus or constants”, Abu Zuri said. 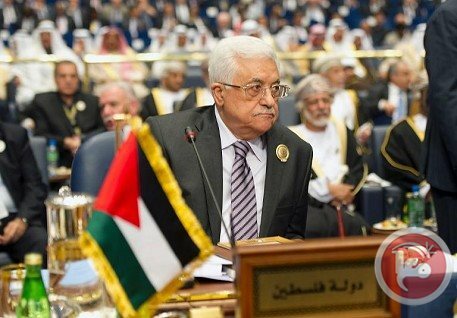 Abbas earlier urged the Arab countries to take a position similar to the “Determination Storm” on issues of other countries that suffer internal conflicts and divisions such as Syria, Iraq, Libya, Somalia, and Palestine. Abbas’s statement followed a similar incitement made by Mahmoud al-Habash, Abbas's advisor for religious and Islamic Affairs. In his Friday sermon, Habash called on Arab nations to “strike with an iron fist” any party that violates legitimacy in any Arab country starting, he said, with Palestine. 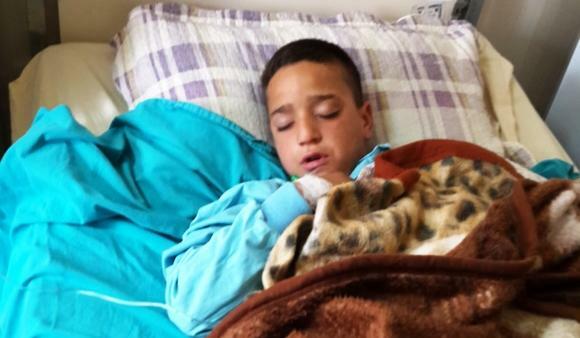 Hussein Abu Asab, 11, sustained gunshot wounds as Palestinian forces battled gunmen from Balata refugee camp on Friday. Three Palestinian children shot with live ammunition as Palestinian security forces battled gunmen from Balata refugee camp, near to the West Bank city of Nablus, this month. Hussein Rakez Suleiman Abu Asab, 11, and Mohammad Raed Abdel-Hamid al-Haj, 14, sustained serious gunshot wounds on Friday when Palestinian security forces clashed with a group of stone-throwing youth. A third boy, Jihad Mohammad Ahmad Badran, 17, also fell victim to the violence earlier this month with injuries to his left eye and hand from live fire. Both the Palestinian security forces and the gunmen denied responsibility for the shootings. The violence stems from the refusal of several gunmen wanted by the Palestinian security forces to surrender themselves. They fear that Palestinian authorities will hold them indefinitely and without charge as they claim happened recently with others in their group, according to local media reports. Nablus governor Akram al-Rajoub has publicly said that the arrest operation will continue until security forces capture all the wanted men. Recent weeks saw Palestinian youth and children from Balata refugee camp throw stones at Palestinian forces and block the main road to Nablus with burning tires and public trash receptacles. Palestinian forces responded with crowd dispersal weapons, witnesses told DCIP. The violence intensified at night with gunfights erupting between Palestinian forces and gunmen in the camp. Several times Palestinian youth paid children token amounts to join the riots, according to DCIP sources. In at least one incident, a child participated in a gunfight against Palestinian forces. Another incident involved a gunman storming the Balata elementary school to force students out into the streets. “We strongly condemn the use of children in these clashes, and demand that all parties ensure that children are not involved or encouraged to participate in them,” said Abu Eqtaish. Doctors have treated several children suffering from psychological trauma because of the persistent violence in the camp. Residents remain in a state of panic and fear as the battling sides appear in a deadlock over resolving the situation peacefully. Today, thousands of runners, are expected to participate in the Palestine Marathon in Bethlehem and, in doing so, draw attention to the right to freedom of movement. Netanyahu says decision to release funds made following recommendation of Israel's security establishment and due to humanitarian considerations. Israel says it will resume the transfer Palestinian tax revenues that it has been withholding as punishment for unilateral Palestinian actions. Prime Minister Benjamin Netanyahu's office said Friday the decision was made following the recommendation of Israel's security establishment and because of humanitarian considerations. "The tax revenues that accrued up until February will be transferred, offset by payments for services rendered to the Palestinian population, such as electricity, water and hospitalization," said Netanyahu's office. "Given the deteriorating situation in the Middle East, one must act responsibly and with due consideration alongside a determined struggle against extremist elements," it added. Israel has been under international pressure to release the frozen funds and Israeli security officials had warned that continuing to hold back the revenue could spark violence. Under existing agreements, Israel collects taxes and customs on behalf of the Palestinians and then transfers the sums to them. It has withheld funds before as retaliation for unilateral Palestinian actions. Over the past three months it has collected hundreds of millions of dollars without transferring the funds. Israel withheld the tax transfers it collects for the cash-strapped government of Palestinian President Mahmoud Abbas after he applied to join the ICC – a move potentially paving the way for a war crimes investigation of Israel. That and other moves prompted Abbas to complain that Israel had eroded the authority of his self-rule government in the West Bank to the point where it has "no real power here over anything." Abbas' Palestinian Authority hasn't been able to pay its civil servants and has warned that it is nearing collapse. Netanyahu said in a statement that it was in Israel's interest to transfer the money. "Given the deteriorating situation in the Middle East, one must act responsibly and with due consideration alongside a determined struggle against extremist elements," he said. The move may be part of Netanyahu's attempt to contain the international fallout from remarks he made ahead of elections earlier this month, when he said the current regional climate made it impossible to create a Palestinian state. The remarks helped him to rally his right-wing base, and his subsequent victory virtually ensured he would serve another term. But the statements enraged Washington, which has pressed for a return to negotiations on a two-state solution to the conflict. On Monday, top IDF officials warned that economic sanctions implemented by Israel against the Palestinian Authority could backfire, saying the pushback from the Palestinian street could lead to unrest, or even an uprising in the West Bank. Ynet has learned that IDF officials recently presented the political echelons with the possible security ramifications for Israel's economic sanctions. According to army officials, growing economic tensions in the Palestinian market in the West Bank served as a catalyst for riots and even terror attacks, breaking the relative calm the West Bank has enjoyed in recent years. The IDF even said they took a number of steps to mitigate the economic fallout of the decision, which has seen half a million NIS frozen per month, by easing restrictions on the Palestinians. The procedures were authorized by the political echelon, IDF officials said. For example, the IDF increased work visa quotas for Palestinians, allowing scores to join the close to 130,000 Palestinians who make their livelihood in Israel (some 30,000-40,000 without work permits). However, this did little to avail economic tensions, and the Palestinian Authority, which is the West Bank's main employer, has shifted to emergency mode, paying workers only 60 percent of their salaries – in addition to cutting services across the board. Meanwhile, the IDF said it is preparing for a possible escalation in the West Bank, both spontaneous and organized. The different scenarios include multi-site riots involving thousands of protesters, some armed, throughout the West Bank; simultaneous terror attacks; kidnapping and infiltration attempts; and a possible end to security coordination with the Palestinians, which they say is very unlikely, though a number of such cases have happened at a local level. Head of Hamas's political bureau Khaled Mishaal stated Thursday evening that his Movement would never forsake the Gaza people and stay passive towards their suffering. 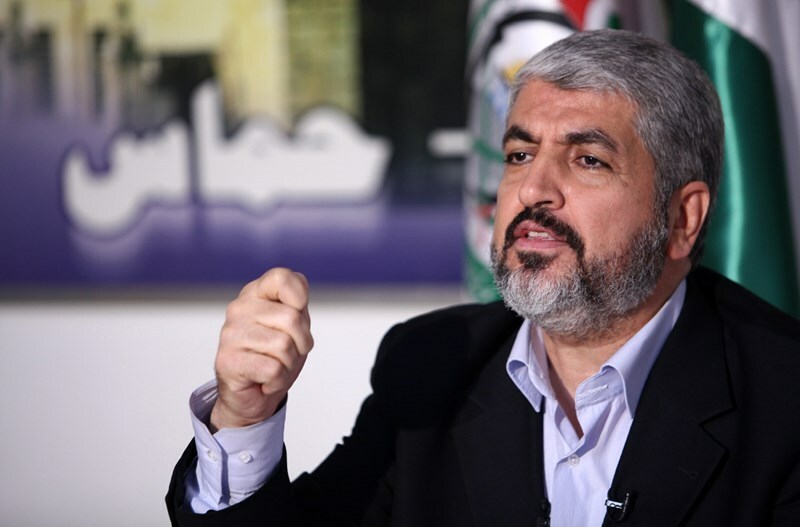 In a brief speech over the phone during the wedding ceremony of Ahmad Al-Ghoul who lost his entire family during Israel’s last war on Gaza, Mishaal said that Hamas works day and night to alleviate the suffering of the people of Gaza. The Hamas official also reiterated his Movement's adherence to the national constants, especially the resistance option. He considered the wedding ceremony of a Gazan young man who lost all members of his family as a reflection of the Palestinian strong determination to continue to live and defeat their enemy. He also hailed the people of Gaza for their sacrifices and steadfastness in the face of what he described as the "enemies of humanity." "To all the employees who are not receiving their salaries, to all Palestinians whose houses were destroyed, to those who were killed in Khuza'a, al-Zana, Beit Hanoun and al-Shejaiya, lets launch the popular campaign to close the crossings to prevent al-Hamdallah from leaving Gaza." This call was launched on Wednesday March 25 by social media activists who created a hashtag under the name #No_Leaving_without_Solutions, pointing to the visit of the Prime Minister Rami al-Hamdallah to the Gaza Strip. The youth movement aims to pressure the officials into achieving the Palestinian reconciliation and solve the growing problems. The movement organized a sit-in for tomorrow at 10 am in front of the cabinet headquarters in Gaza. Wael Abu Omar posted on his Facebook page: "What if Rami al-Hamdallah and his accompanying delegation are prevented from leaving the Strip unless they solve the issues that have been pending for nine months?" Muhannad al-Haddad commented on the photo of a Gazan policeman giving the military salute to al-Hamadallah when the latter arrived in Gaza: "This is so unjust; lining up to welcome the person who cut their livelihoods!" Khalid al-Jish expressed his suffering saying: "Gaza experienced three consecutive wars claiming the lives of thousands, razing thousands of buildings to the ground and wounding thousands of innocent Palestinians, Gaza is living without electricity, without shelters to those whose houses were destroyed, the employees are not being paid, the crossings are closed, no job opportunities, no raw materials and no money, in other words, we live in a big prison". Unlike the previous opinions, Bilal Awadallah sees that the government must leave, he said: "If you can't provide us with a decent life, then leave us alone, we should be focusing on how to get rid of our enemy instead of thinking how to sustain our families". In his second visit to Gaza since becoming a prime minister, Rami al-Hamdallah arrived at noon Wednesday in the Strip accompanied by a ministerial delegation to discuss the issues and the crises of the Strip, most importantly the overdue salaries and the crossings. The union committee for the defense of the rights of employees stressed that the success of al-Hamadalla's visit is contingent on the seriousness of solving the pending issues. The committee's spokesman, Khalil al-Zayan, said in a press statement on Wednesday evening: "We are in dire need to focus on the major issues and we support and appreciate all the efforts aimed at solving the employees' problems". He stressed: "Dr. Rami al-Hamadallah has to prove that he came to Gaza in order to take practical and bold steps to restore the employees' legitimate rights without discrimination." Khalil al-Zayan asked the Prime Minister to announce a specific date to combine all civil and military employees, pay them salaries on permanent basis, and set a specific time frame to solve all the crises in the Strip. He declared: "Until then, we will continue carrying out sit-ins and protest steps." For the ninth month in a row, the unity government is still discriminately refusing to pay the salaries of the employees hired by the former government in Gaza. Hamas irregularly provides them with financial assistance. In a related context, Hamas demanded the Palestinian unity government headed by Rami al-Hamdallah to take practical steps in order to put an end to its discrimination policy against Gaza. 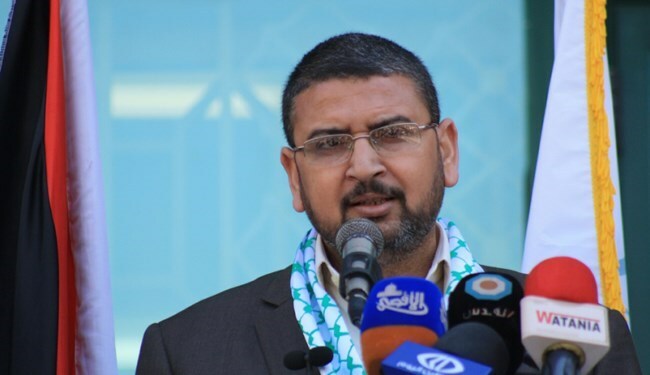 Spokesman for Hamas Sami Abu Zuhri said in a statement on Wednesday: "So far, the unity government has failed to be a government for all Palestinians, and it must take tangible measures to atone for this sin." A Palestinian who was injured after falling while trying to climb over the Israeli separation wall, last week, died of his wounds on Wednesday. Akram Mahmoud Mohammad Abd al-Hamid Al-Hroub, from Deir Samit village southwest of Hebron, fell off the wall while he was trying to scale it in order to cross into Israel for work. The incident occurred near al-Ram village, east of Jerusalem, Ma'an reports. Following the fall, he was taken to al-Makased hospital, in Jerusalem, with serious injuries. He subsequently underwent several operations before succumbing to his wounds on Wednesday. His body was taken back to his village, where he was laid to rest on Wednesday afternoon. Around 60,000 Palestinians are employed inside Israel, but only about half of those have proper documentation. An estimated 30,000 Palestinians cross into Israel without any work permits, largely traveling through wilderness areas to avoid the strict Israeli permit regime. Some of these undocumented workers cross in populated areas, however, where they have to scale sections of the wall that reach up to eight meters. 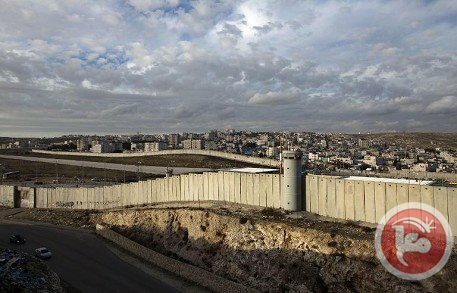 Additionally, in many places the wall has large no-go zones on either sides, in addition to Israeli military sniper towers. 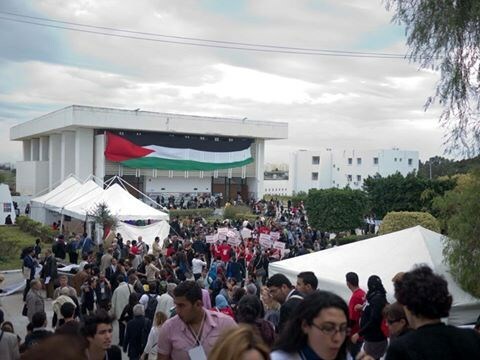 The Palestinian issue has attracted major attention during the 2015 World Social Forum which is held in Tunis, amid a very notable participation of dozens of international organizations working for the defense of Palestinian rights. An important space was given for the Palestinian issue, resulting in a productive, organized and solidarity activities in support of Palestinian people and their struggle against Israeli occupation. The activities include workshops, conferences, debates, and tents shedding the light on different Palestinian issues. 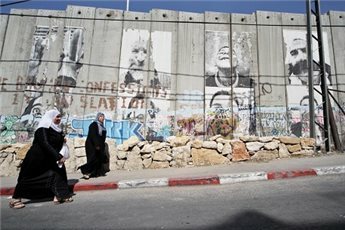 Palestinian prisoners, Gaza siege, the apartheid wall, and Judaization schemes in occupied Jerusalem were widely and successfully highlighted during the activities. Dozens of organizations concerned with the Palestinian issue were present at the forum including Fida organization, Together To Palestine, Palestine Solidarity Alliance, the International Solidarity Campaign for the defense of Palestinian Prisoners, the International Committee to Break the siege of Gaza, European Coordination of Committees and Associations for Palestine, and many others from Palestine, Tunisia, London, USA, Canada, Iran, France, and Brazil. The four-day forum, which gathers more than 4000 people from 150 different countries, was opened on Tuesday with a march during which Palestinian flags were raised along with slogans in favor of the liberation of Palestine. The 2015 World Social Forum is expected to end on Friday with a similar march marking the Palestinian Land Day. 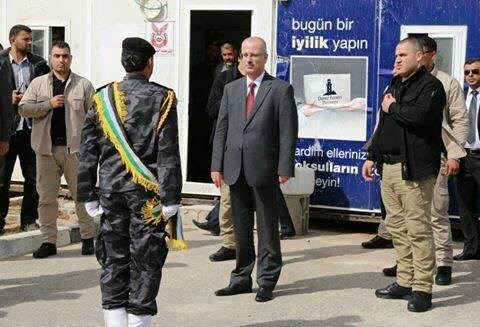 Palestinian Prime Minster Rami al-Hamdallah said the unity government will find solutions for the problem of the civil servants in Gaza Strip, saying “We will not forget anyone”. 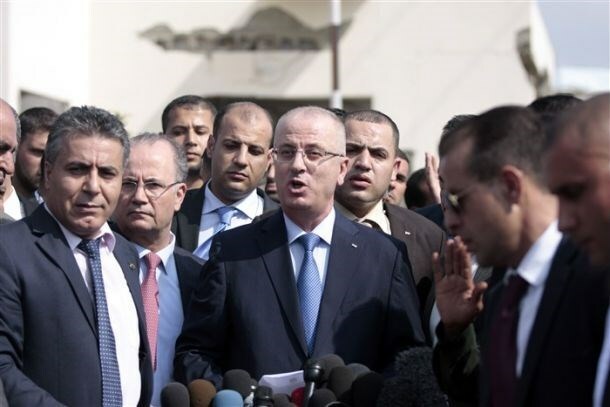 Hamdallah, who arrived in Gaza on Wednesday along with a delegation of ministers, said, “We will exert all efforts to achieve partnership in bearing responsibilities over everything”. He highlighted that he is visiting Gaza in order to solve the most significant issue which is the civil workers’ crisis in addition to problems of the health and education sectors. Hamdallah noted that this cannot be achieved unless the crossings are delivered to the unity government. 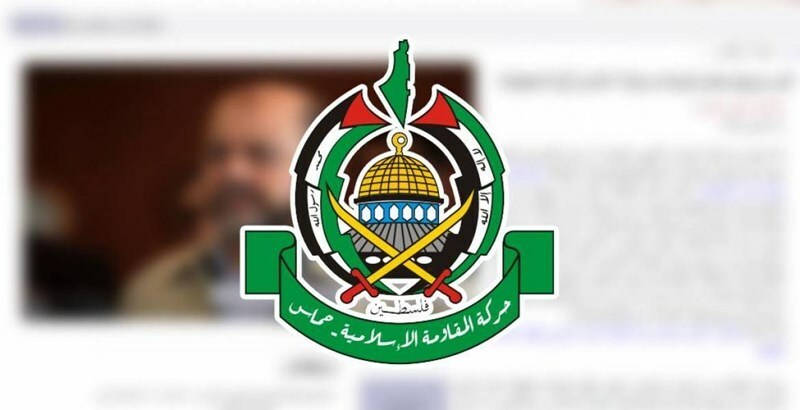 Hamas has denied claims that the group’s senior leader Mousa Abu Marzouk has been making arrangements for a projected visit to Saudi Arabia. Reports about underway arrangements for a Hamas visit to Saudi Arabia are untrue, Hamas said in a statement Tuesday. The Movement called on the mass media to consult the official bodies to either authenticate or invalidate any provided data before broadcasting them. Media outlets claimed that arrangements had been underway for a visit by a Hamas delegation to Riyadh within the next few days. However, Hamas said Abu Marzouk is currently in Doha to undergo a surgery.